Poplar Grove Golf Club is Sam Snead’s final design effort. It reflects a culmination of a lifetime in championship golf. Carved through native Virginia forest, the layout features rolling terrain, natural streams and lakes, and sweeping mountain views. Poplar Grove provides a challenge for all levels of golfers to enjoy. Finely maintained bent grass greens, tees, and fairways will ensure superior playing conditions. 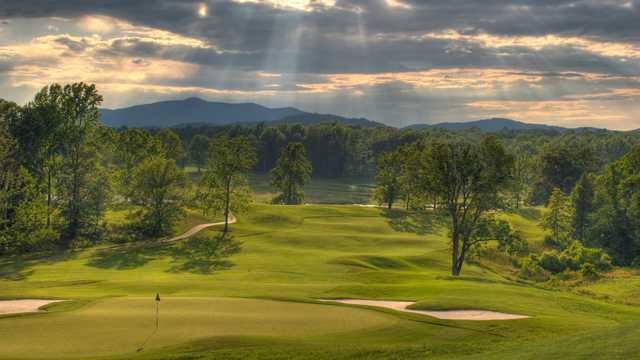 Poplar Grove was nationally recognized as #8 Best New Upscale golf facility upon its opening. Conveniently located in Amherst County, Poplar Grove is just a short driving distance from Richmond, Charlottesville, Roanoke, Northern Virginia, and Lynchburg.